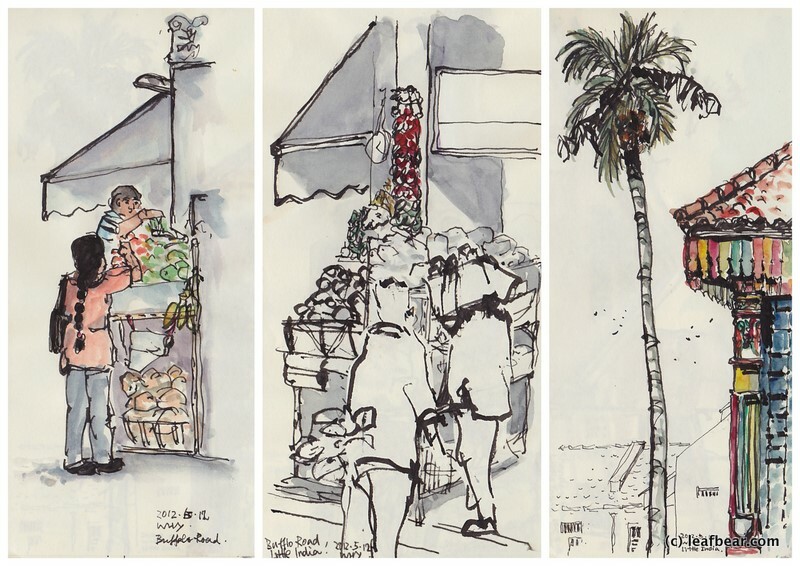 Little India is such a colorful place to sketch, and you won’t run out of topics! Last Sat, I joined another sketching session at Buffalo Road, Little India organized by Master Chan Chang How. It was another fruitful session, Master Chan showed me how to sketch people, he was really fast and his sketch captured the motion and the form so nicely! The two persons in the sketch in the middle were done by Master Chan, I added them to my sketch with Photoshop :P He also showed me how to sketch the leaves in the drawing on the right, and helped me to add some darker parts to the drawing so that it’ll pop. 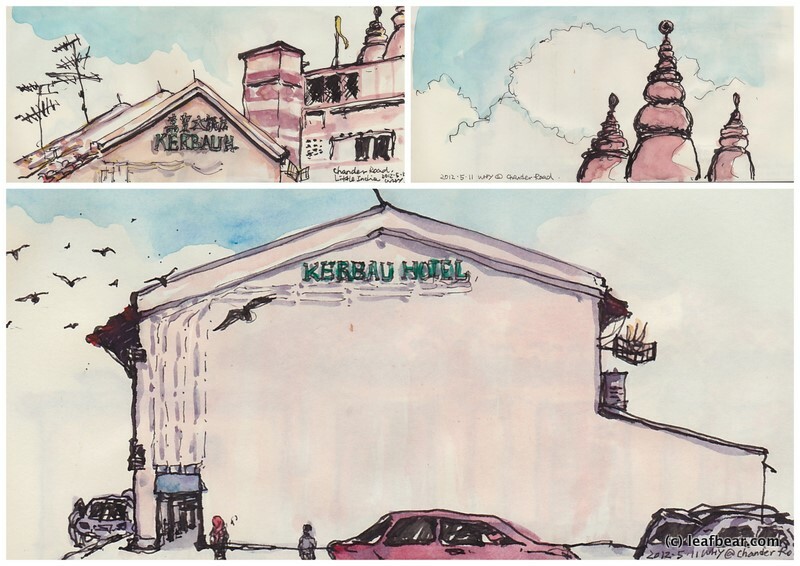 I went on to sketch along Chander Road, attracted by the shadows on this Kerbau Hotel but can’t quite capture it on my sketch here.